Ever since the Great Recession ushered in drastic cuts to state-court budgets, litigators have grown accustomed to the absence of court reporters in California courts. For trials and potentially dispositive motion hearings (and for all court hearings in unusually significant matters) lawyers have learned to arrange for their own court reporters, in order to make a complete record for appeals. This is an inconvenience for practicing lawyers and a regrettable expense for their clients. For indigent litigants, however, it can effectively imperil the right to appeal, as the California Supreme Court recently held. In Jameson v. Desta (Case No. S230899), an indigent plaintiff sued his physician for medical malpractice. Because of his financial circumstances, he was granted a waiver of court-filing fees under California’s “in forma pauperis” doctrine and Government Code section 68086. This also entitled him to a waiver of fees for the attendance of an official court reporter at trial. But, under a policy adopted in response to budget cuts, the San Diego County Superior Court did not provide court reporters for most civil trials. In practical terms, this rendered the plaintiff’s right to a waiver of reporter fees meaningless. Because the plaintiff could not afford to hire a private court reporter, and the defendant opted not to, there was no court reporter present at trial. Ultimately, the trial court granted nonsuit in favor of the defendant following opening statements, and the plaintiff appealed. The Fourth District Court of Appeal affirmed without reaching the merits, finding that the absence of a reporter’s transcript precluded reversal. The California Supreme Court reversed. In an opinion by the Chief Justice, the Court held that San Diego Superior Court’s policy of providing no court reporters violates the rights of indigent civil plaintiffs. By precluding impoverished litigants from securing a court reporter’s attendance, while preserving the right of more financially secure litigants to obtain a trial transcript, the policy impermissibly impedes access to civil adjudication and creates a kind of de facto, two-tier system of appellate review. As a result, superior courts must hereafter provide a court reporter or other valid record of oral proceedings for litigants qualifying for fee waivers. Adam represents both public and private clients in civil writs, appeals, and mandate proceedings, as well as traditional litigation and dispute resolution. 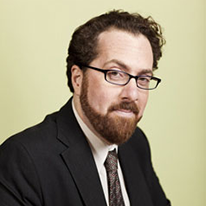 In addition, Adam is an adjunct professor teaching courses in local government and land use law at the University of San Francisco School of Law.